The Slovak national anthem begins with this dramatic stanza: “That Slovakia of ours / has been asleep so far / but the thunder’s lightning / is rousing it / to come to.” And it continues in a similar spirit: “Slovakia already arises / tears off its shackles.” While the author Janko Matuška, a member of the insurgent mid-nineteenth-century Romantic movement, referred to the then incipient “awakening” of the Slovak nation, the image conjured by the opening lines is even today reflected in one of the Slovaks’ favourite autostereotypes: that they are “sleepy” in the sense of being subservient to authorities, passive, more likely to complain and muddle through than defend their interests collectively. 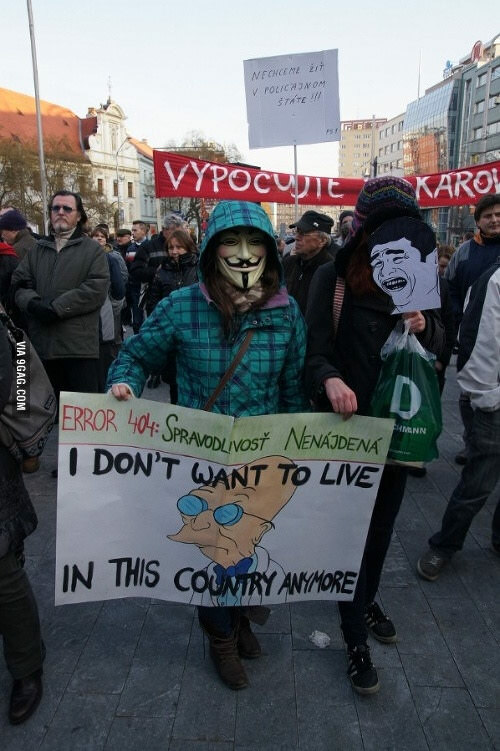 The march, called for April 18 in Bratislava, was expected to be the largest public protest in the past several years. In fact, the estimated attendance of 5,000 (though the organizers spoke at some points about 10,000) probably did not surpass some of the protests at the Prime Minister Robert Fico’s private residence last summer, and certainly not the so-called Gorilla protests in 2012. While the march therefore failed the expectations of stepping up popular mobilization against conditions in the country, it confirmed that discontent with those conditions was alive and that “corruption” remains the central register through which it is articulated. The demands that the organizers handed to the government, as well as many of the banners seen at the march focused on the key corruption scandals implicating the largest governing party in recent years – Smer–Social Democracy, a rightwing (quasi-) populist party, despite its name. These scandals include the revelations of substantial business interests connecting the dodgy real estate developer Ladislav Bašternák, accused of massive tax fraud, to the long-standing Smer interior minister Robert Kaliňák who has nevertheless, rather shockingly retained his office. To make matters worse, PM Fico rents his immense flat from Bašternák, for a sum that is apparently well below the market price. Critics charge this might represent a form of corruption, and even hint that the renting might be only a camouflage of the fact that Fico is the actual owner of the flat, presumably received as a bribe from Bašternák. Nevertheless, Fico has been until recently refusing to move out, triggering the 2016 protests under his windows. Accordingly, the organizers of the Anticorruption March demanded a proper investigation into the Bašternák case as well as the resignation of Kaliňák, the police president Tibor Gašpar and the special prosecutor Dušan Kováčik, who are all being accused of perverting the course of justice in corruption cases. While the 18 April march built on the recent protest campaigns, it also introduced some novel strategies and reflected the shifting political context. It was organized by two 18-year-old high school students from Bratislava and Dubnica and was officially presented as a student protest, though in practice many older people attended. The organizers were careful to maintain distance from opposition politicians, who mostly cooperated by not even turning up, unlike last year’s protests where they positioned themselves at the forefront. The speakers, such as the actor Maroš Kramár or the young whistleblower Zuzana Hlávková who quit her job at the foreign ministry after learning about alleged clientelism, came from outside party politics as well. This seems to have forced Fico and other coalition officials to adopt conciliatory tones and welcome the march as a legitimate and constructive, if rather inconsequential, civic initiative. Even then, other officials of the coalition and the far-right opposition People’s Party Our Slovakia did not fail to attempt to discredit the protest as an opposition-organized event, in the latter case also predictably hinting at a dark Soros-funded conspiracy. The need for such a strategy of distancing and the desperate attempts to thwart it confirm the deepening loss of trust in political parties in general and the turn toward non- or anti-partisan, moral and populist frames in Slovak popular politics. While the opposition has recently become increasingly aggressive in criticizing the corruption of the ruling parties, the latter have responded in a similar manner, numbing sensitivity to such allegations and giving rise to a creeping moral relativization of party politics as such. The continued rule-of-law focus of popular contestation is a logical response to this trend but it could easily become bound up with society’s broader resignation from party politics, creating a kind of vicious cycle. It also leaves too many crucial questions unanswered, such as what is to replace the crumbling hegemony of Smer once it finally collapses. Ironically, the thin anticorruption agenda gives some support to the view that the march did, as if by default, play into the hands of the fragmented opposition, which does not exactly inspire confidence as to its ability to offer a credible – let alone progressive – alternative to Smer. Finally, the somewhat disappointing turnout puts in doubt the mobilizing and unifying potential that is the main appeal of the anticorruption framing. While recent years have seen some increase in strikes and protests against the notoriously low salaries and poor work conditions of workers in education, health care, and even foreign-owned export-oriented factories, the anticorruption focus has once again screened off these labour concerns and prevented the formation of broader and more structured strategic alliances. 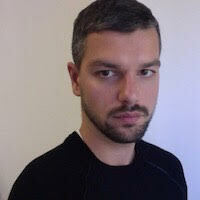 Marek Mikuš is a Slovak-born, UK-trained social anthropologist living in Germany. His research focuses on finance, civil society, the state, and social transformations in former Yugoslavia, in particular Croatia and Serbia.